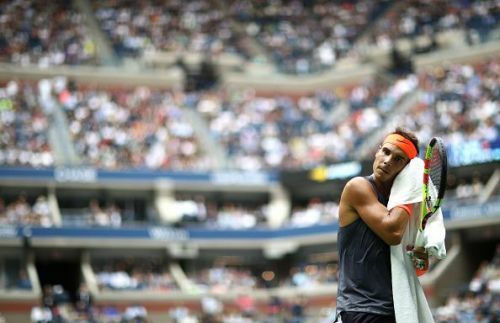 As Rafael Nadal retired at US Open Semi-Final stage there was a moment of unapologetic irony to go with a cascade of déjà vu. The Grand slam year ended the way it started for Rafa, injured and on his aching knees.The unstoppable force and immovable tendinitis. Nonetheless, Nadal has had an impressive year at the Grand slams. He won at Roland Garros, reached the semifinals at Wimbledon and flushing meadows and quarters at the Australian Open. In total, he only lost one match while winning 21 matches. Golden by any standard unless it his own. This was not a year of multiple Slams and golden cups. It was glittering for another reason, his sheer will to slog through the toughest opponents in the longest of matches writing the most thrilling of scripts. A triumph of indefatigable self-belief and defiance to quit! His 49-4 win/loss record for 2018 is ample evidence for that. Nadal squeezed a pivotal break in the opening set for a 6-5 lead and wrapped up the set when Del Potro missed a backhand in the next game. Playing in his first Wimbledon quarter-final since 2011 could not capitalize on four set points in the second set. The Argentine won the tiebreaker to level Nadal’s lead. Then, Del Potro dominated the third set and claimed the only break of the set with a rapier-like forehand to go 2-1 ahead. Nadal, unyielding as ever, raced back to level the tie to set a pulsating fifth and final set. It was replete with spectacular shots, acrobatic dives and dramatic falls. After a routine hold by both in the opening two games. Del Potro was pushed to deuce four times in his next service game. But he held on only to be broken in his next service game. 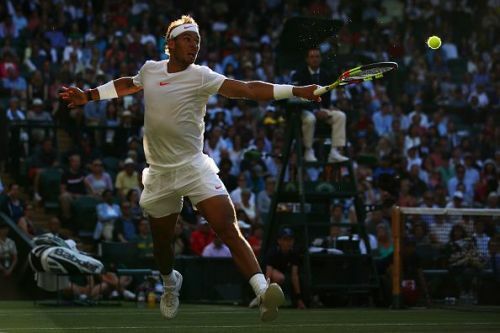 Nadal went 3-2 up with the break and defended break points in the sixth and eighth games before finishing off the tie to set up his sixth Wimbledon semi-final. 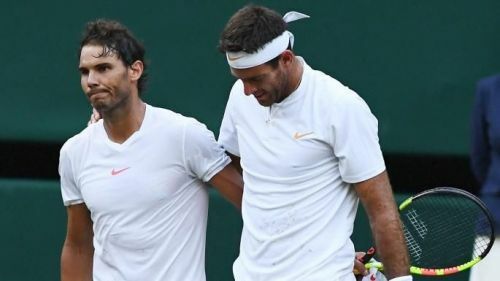 Del Potro finished with 33 aces and 77 winners even forcing Nadal into the crowd once.